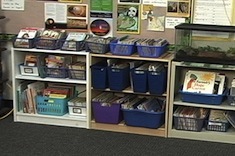 If you've ever compared your classroom to a zoo, this article by Brenda Power is for you. 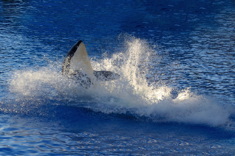 You'll take animal trainer advice like "We change behavior in others by breaking routines in delightful ways" and follow it into the classroom. Planning with the end in mind is essential for literacy leaders. Jennifer Allen takes us through her process for creating a focused and progressive year-long plan. 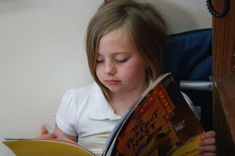 In many buddy reading programs we often tout the benefits for the younger, less experienced reader, but Shari Frost tells the story of a “big kid” reader with a legitimate reason to read books that were closer to his independent level. Read on. Shari Frost describes how literacy coaches shadowed children to get a sense of how much reading students were doing. 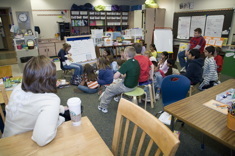 Meaningful reading, writing, speaking and listening comes out of thoughtfully planned author studies. Gayle Gentry shares her thinking and planning. The zone of proximal development continues to be an important frame for noting where writers are at and what's next. 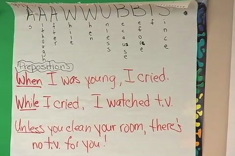 Ruth Shagoury lists questions at different phases of writing to help nudge writers forward. 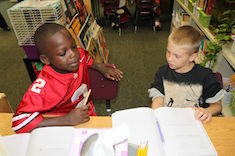 Jennifer Allen makes connections between her new professional life as a literacy coach and her beginning as a classroom teacher. Jennifer Allen reflects on essential layers that provide a safety net for the challenges facing beginning teachers. 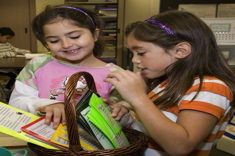 Max Brand considers how rereading helps students understand and enjoy texts. Shirl McPhillips recalls a junior high experience that promoted serious "attitude" and an uproar among her peers. 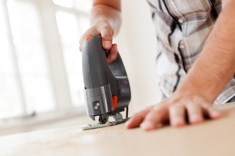 Aimee Buckner shares three essential "power tools" for writers. Andie Cunningham and Ruth Shagoury share the assessment tools they use to track Andie’s kindergarten writers. Teachers continue to puzzle over and sort through the terminology in the Common Core related to opinion and persuasive writing. Amanda Adrian and Heather Rader consider terms and teaching strategies. 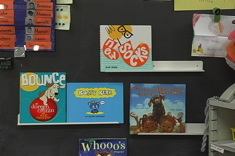 Jesabel Centeno helps her emergent bilingual learners respond orally to texts and share favorite books with classmates. 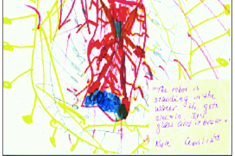 Suzy Kaback catches a young learner near and dear to her in the process of plagiarizing. She uses the experience to develop a template to help students and colleagues with notetaking. 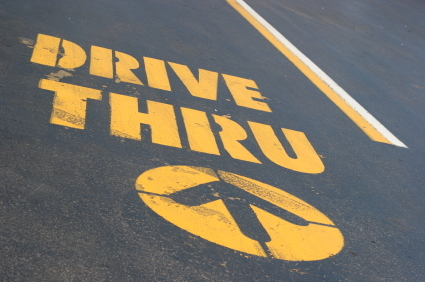 Who is a “drive-thru” reader? One who zips through the start of a book and discards it before finishing, moving ever more quickly through random books. 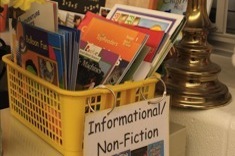 Aimee Buckner has some minilesson suggestions for dealing with those students who can’t or won’t finish any books they start. 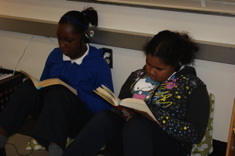 Tara Smith finds her sixth graders have years of experience with writer's notebooks by the time they reach her classroom. 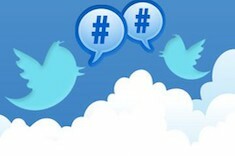 How to inspire enthusiasm for a familiar tool? Mix old favorite tasks and lessons with fresh texts and tech-savvy options. 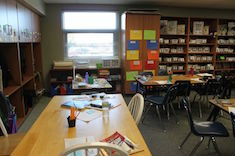 Mary Lee Hahn prepares for classroom visitors, and the process of viewing her room with fresh eyes makes her question routines and wall displays. Stella Villalba has practical advice for reaching a young English language learner who is reluctant to write and often frustrated. 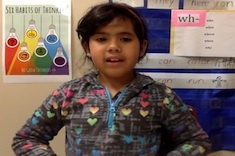 Stella Villalba uses the Photo Booth app to build stamina in a young English language learner, as well as reinforce the learning and practice at home.